ROSE TARLOW: ON THE MOVE I’ve always admired Los Angeles designer Rose Tarlow—as a taste-setter, as an author, as a refined and obsessive antiques dealer, as a designer, and as a curious collector of objets and knowledge around the world. And I’ve had the privilege to interview her here and there, to write about her, publish her famous house (in my Rizzoli book, Hollywood Style), and to meet her by chance. I was having lunch a few years ago with Axel and Boris Vervoordt at their ‘s-Graveweezel castle, just outside Antwerp…and who should arrive and join us but Rose Tarlow. She was full of tales of her house in Menerbes in Provence and her travels in Paris. Rose Tarlow, always slightly mysterious, heads to Europe several times a year, always looking for the rare and the recherche. It was midwinter when she turned up at the historic Kasteel von ‘s-Gravenwezel, northeast of Antwerp. A pale ivory sun hovers and barely glimmers, low in the sky. The air is still, giving the frozen moat and ice-etched rhododendrons and noble old oaks in the subdued landscape the look of a faded sixteenth-century oil painting or a delicate watercolor. Axel Vervoordt walked briskly from his study to greet his longtime friend. Tarlow has dropped in at the 12th-century castle to view and admire and perhaps acquire pieces from Vervoordt’s art and antiques collection. 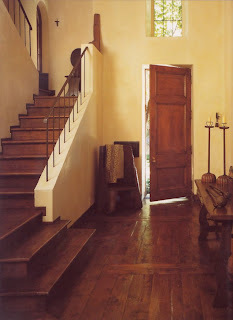 “I am a person who loves beautiful things, and I try to be around beautiful objects and exciting art at all times,” said Tarlow, glancing at a dramatic Antonio Tapies painting in an upstairs salon in the castle (which is also Axel’s residence). She continues on toward a collection of rare Chinese porcelains, smiling, in a reverie. Her eye flicks across a Dutch armoire, a Japanese wooden bowl, a stack of old books. 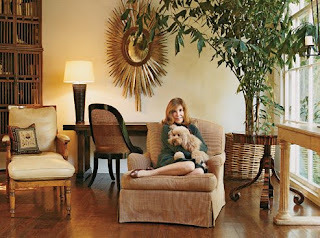 Over the last thirty years, Rose Tarlow has turned her antiques and decorating company, Rose Tarlow Melrose House, into a multi-million dollar empire of handcrafted furniture, mirrors, lighting, luxurious leathers, fabrics, and her own textiles collection, all much admired (and specified) by top designers. 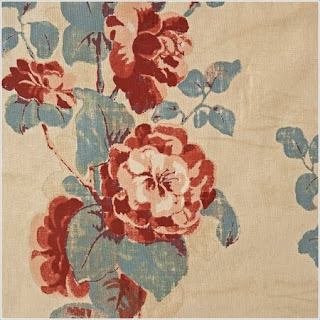 Tarlow introduced a line of wondrous-stenciled wallpapers with the look of faded antique textiles. The Melrose House furniture and lighting portfolio consists of more than 300 of her designs, and her lines are represented in 13 showrooms around the country. Tarlow has a particularly fine-tuned sensibility for chairs—the hardest furniture to design—and bestows even a modest dining chair with presence, originality, character, and a distinctive silhouette. There’s the “Puccini” sidechair upholstered in Italian silk, a best-seller. Its carved front legs and boldly arched back give it an air of animation, as if it is about to spring forward. The “Verona” chair, with rich silk velvet upholstery , has gilded legs and arms as finely tapered and turned out as a prima ballerina’s. Rose Tarlow, who was born in Shanghai, has never pigeonholed herself into one period or style. Her “Etoile” rush-seated sidechair suggests a French provincial inspiration. The “Cloverleaf” pedestal table, with rich lacquered ebony veneer, connotes her taste for Chinoiserie. 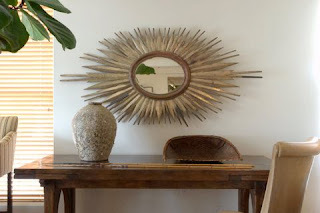 Now Rose Tarlow Melrose House has opened a new flagship showroom in a renovated landmark building on Melrose Avenue in West Hollywood to showcase the collection’s elegantly designed furniture, textiles, lighting and accessories under one handsome roof. The 9,000 square-foot space, designed to resemble a residential environment reflect Tarlow’s private-client installations. 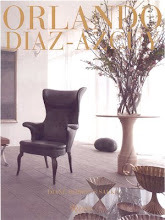 On display are the modern furniture collection, sumptuous rugs and fabrics, and a lighting and accessory gallery. “I love change and always have. The new location—just blocks away from my old shop—is larger, more accessible, but thankfully still retains the old Melrose House magic” said Tarlow. 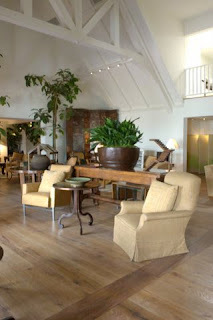 Architect Marc Appleton retained the charm of the original shop in the new setting. 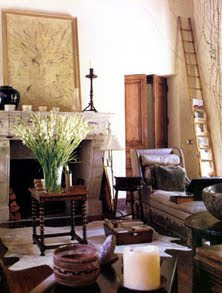 Each room contains special accessories from Tarlow’s original designs or items found from her global travels. Rose Tarlow (who has always insisted she is not an interior designer (although she has designed noteworth residences) founded her company more than 30 years ago in what was then the out-of-the-way Melrose Place. 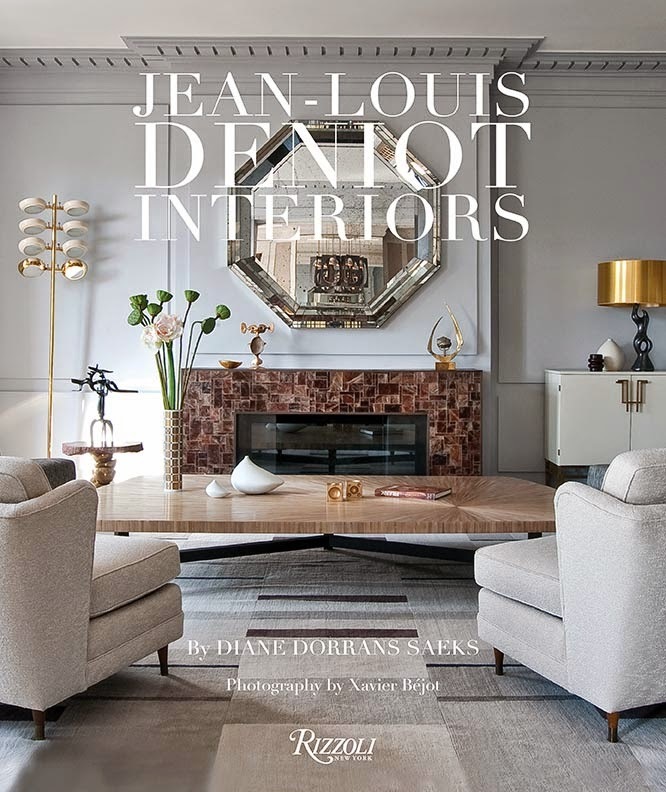 Now an internationally renowned furniture and fabric designer, interior designer, antiquarian and author, her creations have enchanted the design community. 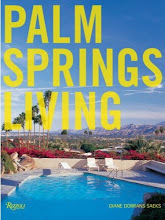 Many of them, including her own Bel Air house, are detailed in her book, The Private House (Clarkson Potter). 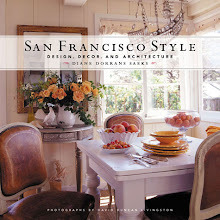 “I wanted my house to look like early California architecture with European influences,” she says. To create that style, she imported antique architectural elements from Europe, such as hand-forged iron railings. 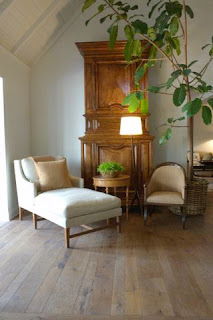 She found rustic wood planks for the floors and hand-plastered the walls to create an unusual texture. Potential clients are constantly clamoring for her to design their interiors, but she is skittish. Tarlow is at her most content when she is searching for and acquiring antiques, or working on her furniture collections--with only her own high standards to please. 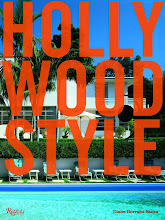 Tarlow, considered by some a cult figure in the world of design, designed and built her own European-influenced house in Bel-Air. 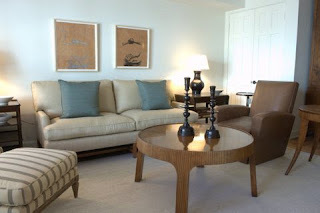 In Tarlow’s more formal London flat in Belgrave Square, sunny, cozily luxurious rooms are filled with singular antiques from around the world: handsome Régence chairs upholstered in Gobelins tapestries, American Indian baskets artfully arranged on a Chinese lacquer table, a Kang Hsi Coromandel screen. 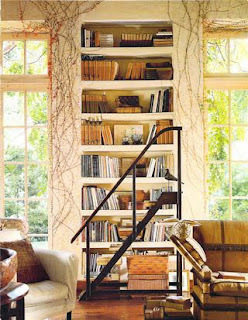 Her inspirations, she said, include rare and beautiful old woods, old textiles, oil paintings of interiors, watercolors of interiors, the great American poets, as well as the English romantics like Keats, Shelley, Coleridge, Byron. When I read her "Beauty nourishes me, it fulfills me spiritually", I immediately thought of Keats' "Beauty is Truth" quote, glad to see that he is an influence on her. 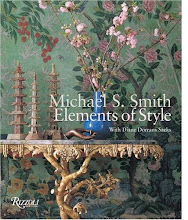 Such timeless style - I learned a ton from her book. 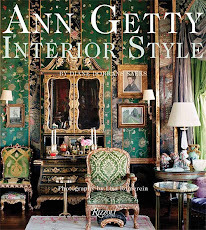 I believe that while designers order her fabrics and furniture by the ton--Rose will never get the credit she deserves, partLy because she is so contrary. She's a contrarian. She insists she is not an interior designer. She downplays her design work. She downplays her own creativity in this field. Her book: it's fantastic. I have several signed copies. Are these books as hotly collectible as Hicks or Michael Smith? No...they simply are not. Her own house is her greatest accomplishment--a very beautiful expression of everything she loves and desires to live with. I agree - another book by Tarlow is long overdue. I love how you said she is mysterious. So true. What a huge talent - in a class by herself. Beautiful post! Rose Tarlow reminds me of the old expression: "she was a rose without thorns". Simply extrordinarily exquisite! I was in Los Angeles last week and had to look twice to confirm that a huge "home" was now on Melrose Blvd. just doors away from the new Waterworks showroom. 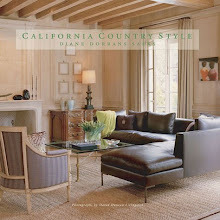 Inside the showroom is as calming and tasteful as her book, my favorite design book ever. She is such an inspiration for me. 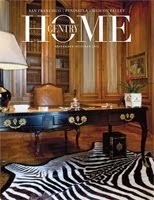 Love your great insight and appreciation for design and style be it interiors or perfumes. I look forward to your updates and then forward them on to Tom so that he can see them as well. Thank you for doing this blog. Regards, Dan Zelen. Joni and Little Augury_I agree her book is fantastic. It's intelligent and insightful and opinionated. As I noted, however, in the rather male-dominated design world, she never seems to get the praise and respect she deserves and has worked for. 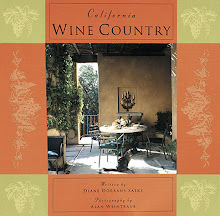 While other design books are commented on often, hers seems to have disappeared after selling well. Dan-yes, Rose is an inspiration. She will never set you off in the wrong direction. With this new showroom, things will get very exciting. Red Ticking and On the Border: Thanks so much for your wonderful messages, so appreciated and enjoyed. 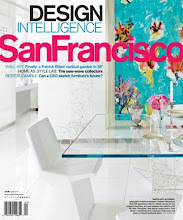 Gaj--Yes, Rose Tarlow has been such a major talent for 3 decades--and is still designing. Well, I am going to be in Menerbes...but I imagine her French house (if finally completed to her satisfaction) will find its way into AD first. Let's see. I would write about it in a heart-beat...and would love to see it. Have seen no images yet. I for one am a charter member of the Rose Tarlow fan club. Cheers and thank you to all my dear friends for much beautiful and inspiring comments. 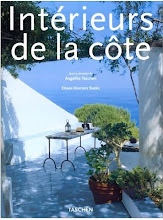 i believe her house in Provence is actually in the Village of Goult, not Menerbes. 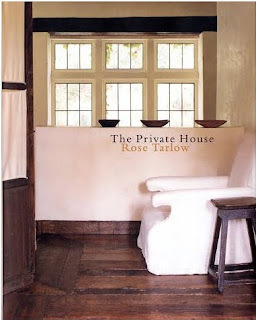 I loved her Private House book.... I read it from cover to cover and even sent her a letter saying how much I had enjoyed it. Great artice. Thank you. First of all, your blogs are not too long! 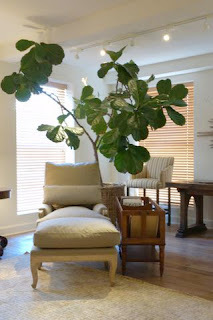 That wonderful Fiddle-Leaf Fig reminds me of John Wheatman. Did you ever work with him or know him? Would love a blog about him. I love Rose's work and I even sent a letter to her on how much I loved reading her book (actually reading a design book instead of looking at the pictures). 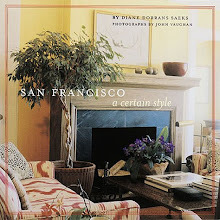 Anonymous - I was a design student at UC Berkeley and attended many of Diane's classes (absolutely fabulous they were too and also attended a 2 day lecture by John Wheatman - he then invited all the students to his home... a fabulous treat. I am missing all the wonderful posts by my blogger friends. Today I was able to open a few. I enjoyed this post, so deep and well written and when I'll have a better connection (still abroad) I will read all your past posts. Can't wait. I think I need to get her book. Years ago, I fell in love with that room where she lets the vines grow inside. 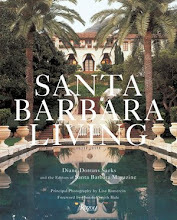 I admire Rose Tarlow's style very much and you have reminded me to re-read her book.... A wonderful profile Diane, xv.